Well hi! I’m TemplarSora. It’s not my real name, obviously, just the pen name I write under. Actually, it’s my handle for a LOT of things nowadays. If you go to another website or play a video game somewhere and see a TemplarSora, it’s me. I figured most of the community that produces a lot of product for Ad Astra has these blogs. I’ve read a couple, and it certainly seems like a neat way to talk about what you’re doing in your fiction, explaining your characters, letting people know you’re still alive and kicking. So, I decided to join the party. Granted, I’m pretty late to the party. I hope the drinks haven’t run dry yet. I’m also a somewhat latecomer to the community in general. I joined up September 2011, where I produced a piece of fan fiction titled “After Darkness – USS WHISTON,” which followed a Starfleet crew in the alternate universe created for Star Trek (2009). While it didn’t win that month’s writing challenge, it was a fun thing to do. Up until that point, the longest “fan fiction” I had written had been in the form of forum posts for roleplay groups I was part of in City of Heroes (RIP) and Star Trek Online. I had certainly always had ideas floating in my head for my own Star Trek “series” of sorts, that changed as I grew older, but until this point I had never actually written anything down. 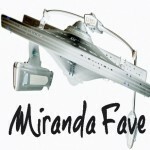 My wife got me interested in the idea to at least go searching for Star Trek fan fiction. She was part of a Twilight fan fiction community, and had even taken a stab at writing her own fanfic. She enjoyed it, and still does. She fancies herself an editor; she’s still editing for one of her twi-sisters who is writing a very long fan fic with no end in sight, but I digress. My initial google search yielded Ad Astra near the top of the list and…the rest is history. I decided I could write my own story, and did so. Another challenge popped up, and I produced “Interlude – Silence,” which was my first longer-length story featuring my Star Trek Online characters. My count is now at seven stories, with one monthly challenge win. 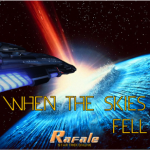 Two series – Rafale and After Darkness – with a third very well in the works. 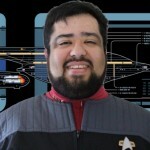 And for Rafale, well…Star Trek Online is a vast universe in itself to write in. I have two stories (beyond the three interludes pieces that I’ve done) in the Rafale series, and I’ve sent my third to the editor (read: loving, amazing, wonderful wife person) and started working on another interlude for this month’s challenge, while also starting on the fourth story in the series. And let me put this into perspective…this is story four out of a planned twelve stories for the Rafale and her crew. And while these first four (and even the fifth) stories pull heavily from the game itself, I’m doing my best to make them easy to understand and follow. You won’t need to have played the game to completely understand what is going on. But in story five and beyond…expect a large departure from the game storylines. Along with that, I’ve been encouraging a friend of mine who goes by the handle ThunderPhoenix to write as well; when he gets going, expect some nice crossover work as we expand the same universe. I’ll leave you with those little teasers for now. I’ll update in a few days with a progress report, and hopefully we’ll make this at least a monthly, if not weekly, update. Welcome to the blog community, TS. 🙂 Always interesting to read how writers got started, and also how they heard about Ad Astra. Great to see another blog up on Ad Astra just sorry that it has taken me this long to check things out TemplarSora. Always fascinating to see the Wizard behind the curtain and see other people’s processes of creating their stories, characters and universes.